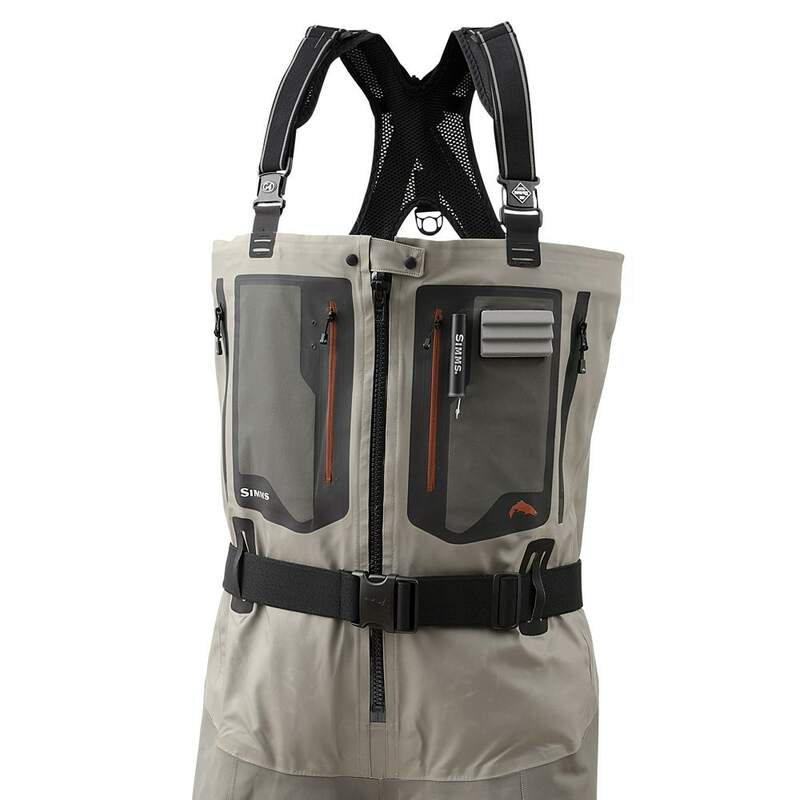 Redesigned, these Simms fishing waders have a waterproof vertical zipper so more convenient getting in and out of. 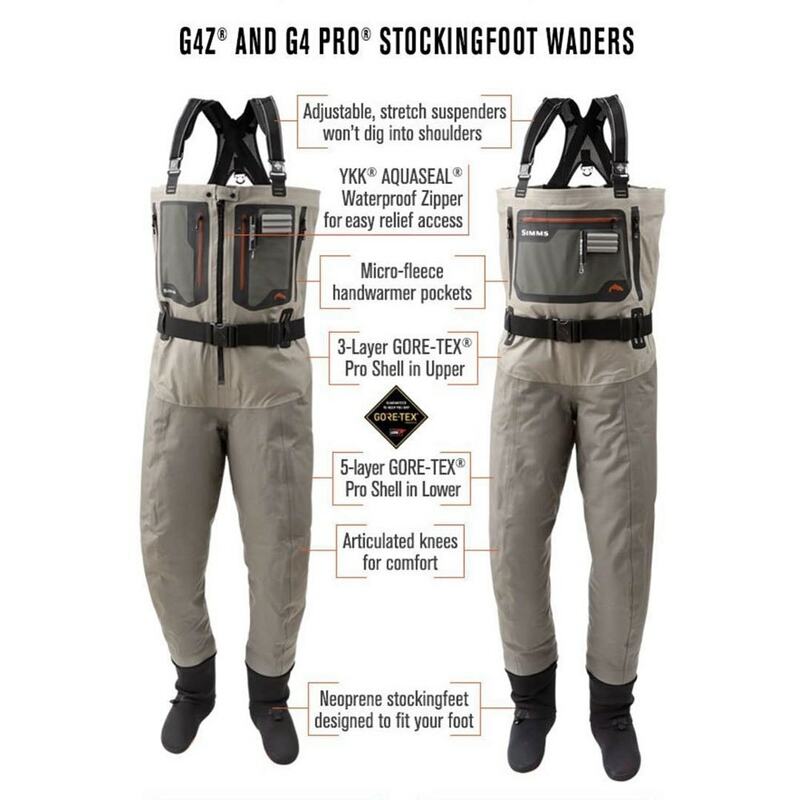 Simms G4's are without question the best performing stockingfoot waders on the market. They are better than ever! 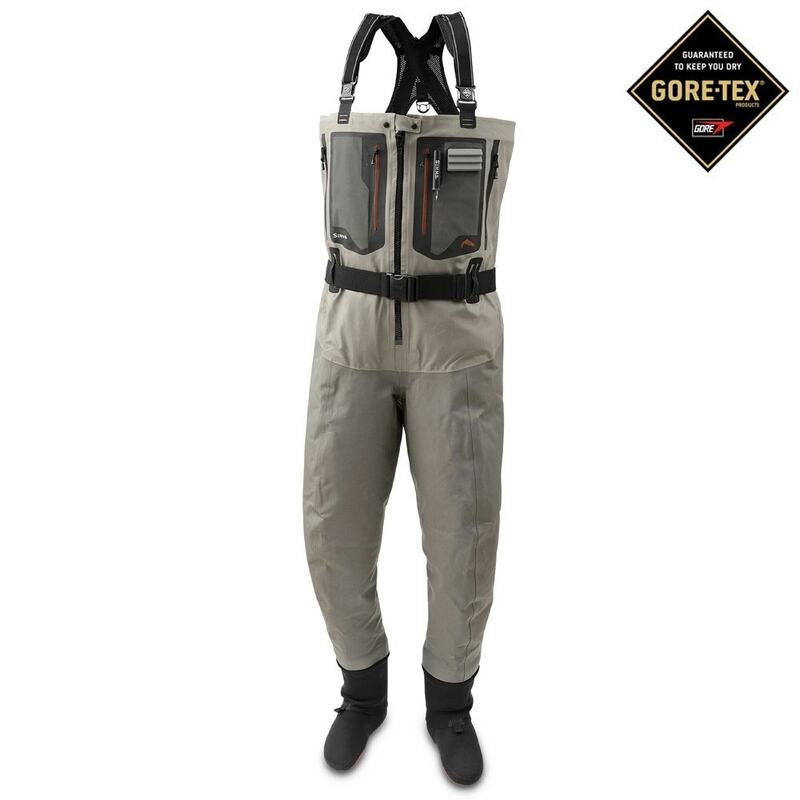 Simms G4 are the only waders to feature the 5 layer GORE -TEX® Pro Shell fabric, making them more durable and 25% more breathable than ever before. This unique fabric is matched with a range of features to give maximum comfort and functionality.